Please go to Gallery to see photos of the pilots and crew of the helicopter who saved Andrew. Thank you to each of you for your efforts and bravery in getting Andrew to safety. Sometimes life takes a turn you don’t expect and I certainly didn’t expect to be writing this to you from a hotel room in Punta Arenas. 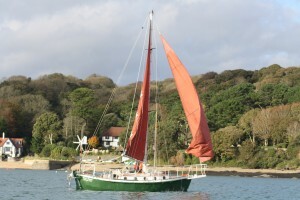 Read full log entry Look in the ‘Media’ and ‘Gallery‘ file for photo of Elsi after losing her mast. 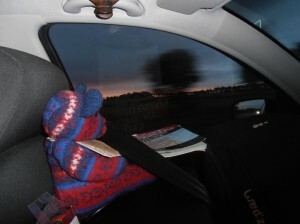 18:30 Update; – Andrew just phoned from Punta Arenas. He arrived after the re-fueling stop in Felix to a media circus, TV cameras and journalists which he definitely was not expecting. He has hit ‘the wall’ now and needs to shower, eat and sleep. He will meet with a local Admiral tomorrow who will talk about how it might be possible to find Elsi. He is sounding fine. 16:30 Update; – Andrew has been lifted off Elsi. The helicopter from Punta Arenas, stopped on a tiny island “Felix” at the entrance to the Magellan Straights to refuel. Andrew said it was tiny, reminding him of Oxna where his forebears came from. He should be in PA around about 1700 our time. 11:30 Update; – Andrew is waiting for a helicopter from Punta Arenas which is the latest method of trying to help him. He can only carry one bag onto the helicopter which restricts what he can take off Elsi. He expects a phone call from the rescue services in an hour. 09:30 Update; – Very cold, haily night on Elsi, wind and sea taking a while to lessen. Ship coming from Punta Arenas and may look at a helicopter transfer. Andrew will phone in a couple of hours to update. 21:30 Update;- Andrew is still on board Elsi and waiting for another phone call with the Chilean Coast Guard with details of how he will be picked up. He has managed to pull together a few items he can take off with him. The weather is still very wild with big seas. Thank you for all the messages of support. 14:00 – During the midst of a huge storm just West of the Horn Elsi’s mast broke. It is with huge regret that Andrew has had to call MayDay. Thankfully, he is safe whilst being devastated by what has just happened. Andrew was able to report that he is fine, Elsi’s sails are well reefed down with the strong North Westerlies he is currently facing although the wind will be backing and lessening soon. Not much progress for Andrew and Elsi today – in fact they have drifted backwards since noon yesterday. A mixture of winds are due over the next few days with strong North Westerly prevailing, which may also hamper movement North and West. However, Andrew will keep plugging away and will slowly but surely climb to 50° S and beyond. Well the waters around the Beagle Channel are VERY cold according to Andrew. He took the chance, whilst at anchor to go over the side to continue his battle against the Goose barnacles! Even with his top notch dry suit (given to him by his family), he could only stay in the water for a maximum of 10 minutes, not enough time to rid Elsi’s hull of them. 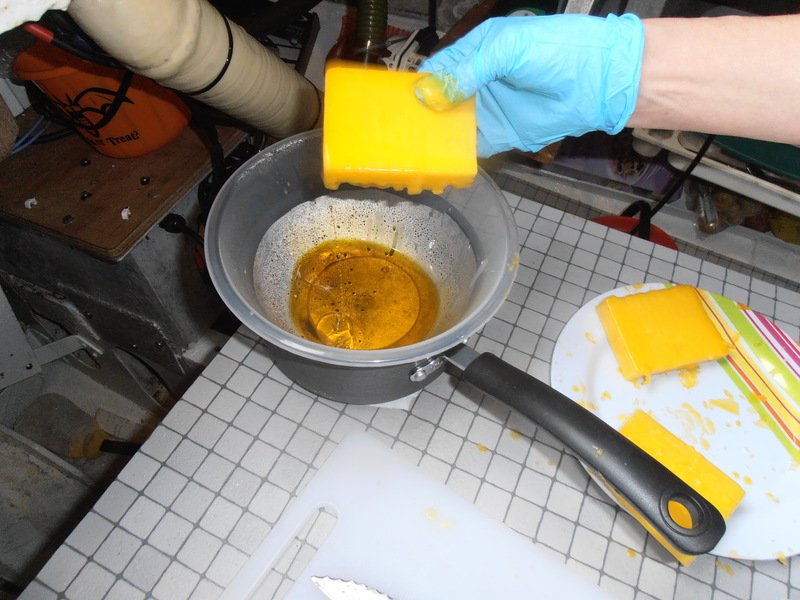 He will try another method tomorrow….will report how he gets on with this, later on! Andrew is really chuffed and amazed by the number of folk sending him messages via the website. He asked me to say a huge Thank you to everyone for all the good wishes. 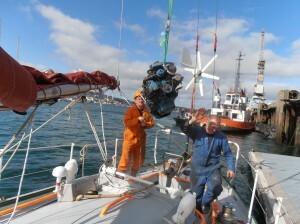 He has managed to re-charge all the batteries on board with the strong winds today. He has also used his time to scrape more barnacles from Elsi’s hull. 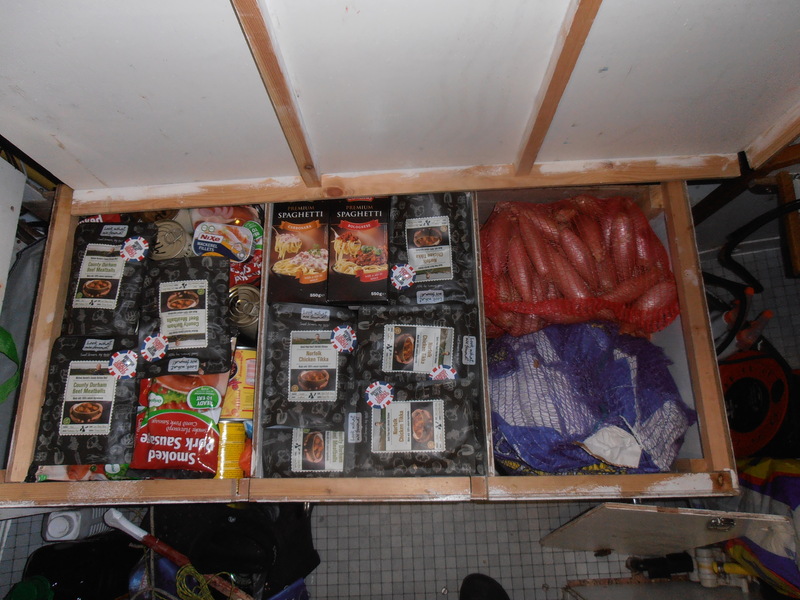 Sorting through the remaining potatoes, ditching the rotten ones, and checking the onions and garlic have also been easier tasks whilst at anchor. The worst of the storm seems to be past this evening; even so it was up to a Force 9 at times today, which means it would have been a lot worse South by. So it is reassuring that Andrew took the decision to anchor up in the lee of Isla Lennox. The temperature was about 15° inside Elsi during the daytime today, but will drop to a chilly 5° during the night. Just as a matter of interest, I have been looking briefly at the statistics for this website. Kevin, who has been helping us with the site, has advised that the important figures to look at are ‘Unique visitors’ and ‘Number of visits’. The relationship between the number of unique visitors and the number of visits to the site is what is telling. The ratio between these two numbers, as below shows, is good. 31st January 2014 Tomorrow, Saturday 1st February at about 11 am our time and 6 or 7 am Andrew and Elsi time, they will be heading down through the Straight between Isle de los Estados and Tierra del Fuego. With a little bit of luck, they will have a North Nor-westerly to start them through the Straight andAndrew will time it so the tide will be with them. Andrew also calculated today, he is almost 7,000 miles into his journey – if he had left from Shetland, he would be 8,000 miles from home. 28th January 2014 Quick update from Andrew; he is close by Cape Virgin which is the entrance to the Magellan Straights; he had a few seals around the boat last night and several Albatross’ keeping him company today. He is preparing every day for rounding Cape Horn, and is really pleased he is a few weeks ahead of his expected schedule, closer to the middle of the summer for this part of the trip. 27th January 2014 Andrew and Elsi are into the 50’s South now, calm last night with little wind. The wind is picking up with a fresh South Westerly tonight. He has seen a few whales but too far distant to identify and quite a few seals playing around. When the seals headed off they were leaping out of the water like dolphins which was a fine sight. Andrew now is having to wear his jumpers as he heads South towards the Cape. 26th January 2014 At the moment Andrew is not able to get any emails out, partly because he is so far South, but also because the conditions are not very good at the moment. He is making steady progress South and estimates he is about 450 nautical miles from the Horn. By this time next week he could be past the Horn, depending on the winds he gets in the meantime. 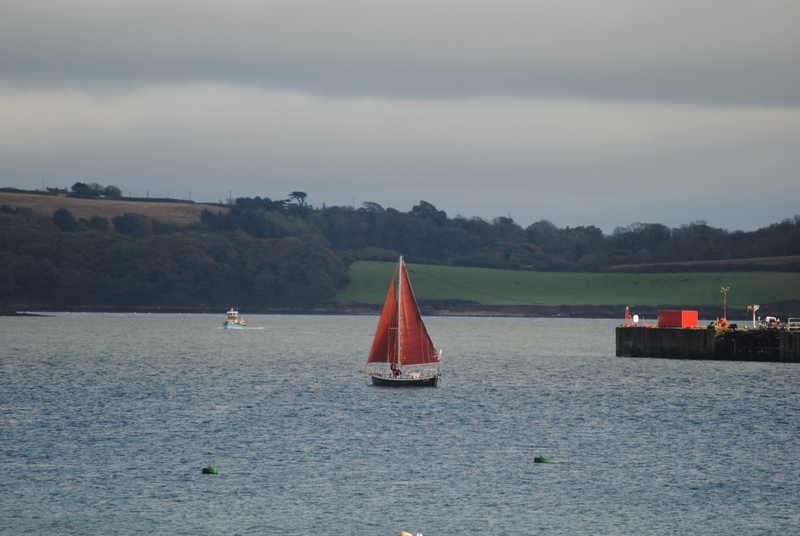 11th November 2013 Andrew and Elsi left Falmouth at 5 to 2 this afternoon and are making good speed South. The winds hopefully look favourable for him for the next few days. OCTOBER Since Elsi Arrub arrived in Falmouth on 9th October there have been quite a few changes onboard to make her ready for the big trip. 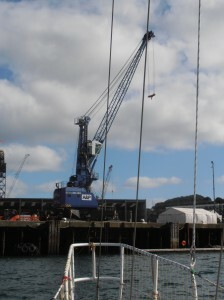 The engine has come out and a permanent magnet alternator to charge the batteries has been fitted on the propshaft in its place; the crane that took the engine out, sitting on the docks opposite, was a bit OTT – 150 tonne crane for a 150kg engine. 150 tonne crane for a 150kg engine! The electrics have been re-wired to allow for all the battery charging to come from renewable sources; sun, wind and water.The cabin steps have come away and a large box has been fitted in place to give more stowage for food. The left and centre sections of the box locker are fully packed with tinned and packaged food – the right section has onions, banana shallots.Alyson drove the 740 miles down from Shetland with a car full of essential supplies and arrived in Falmouth the same day Elsi did.She has been busy sorting stores and arranging the stowage below to maximise the room available.One way to keep cheese fresh longer is to wax it as Alyson is doing here. There is a comprehensive stock of medical supplies onboard as well. Alyson also took down a new crew member to join Elsi. Tirval o’ da School has been given permission to take a year off from the Hamnavoe Primary School to join Elsi for her big trip. Alyson said he was very good company on the way down and I think he may make a good navigator as he kept looking at the Road Atlas to check she was on the right road. We are in good company here at Port Pendennis marina. Initially we were tied behind the beautiful Windrose of Amsterdam. She is a modern superyacht with the classic lines of a 1930’s schooner. 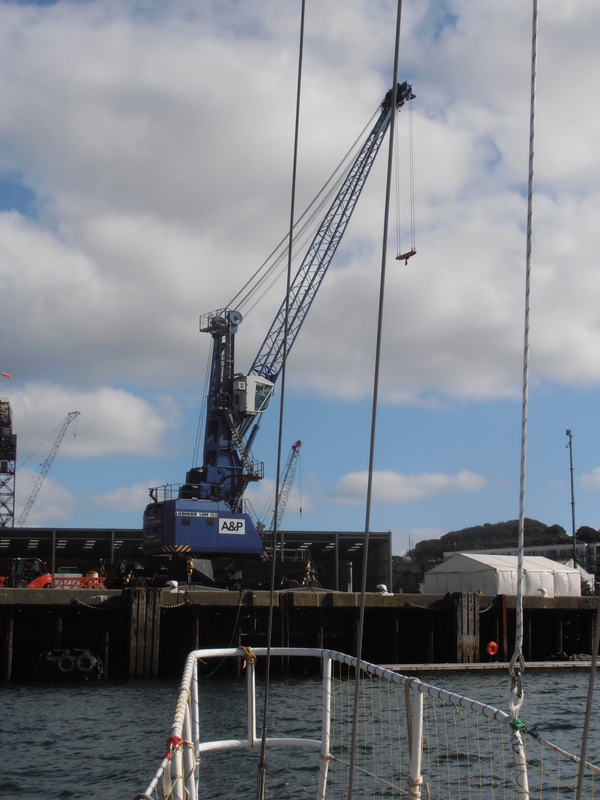 The world’s largest private sailing yacht, Mirabella 5, is in Falmouth near the end of a two year re-fit. She has been re-named M5 and her mast towers over everything else here. At nearly 300’ high it is over seven times higher than Elsi’s mast. One of the key players involved in the rescue of Andrew in the Southern Ocean in 2006 was Falmouth Coastguard (CG). They are the UK’s International CG and deal with incidents all over the world on a daily basis, on average up to 10 incidents a day. We went up along the station to say thanks to them for their help and support when Andrews appendix burst. They worked in co-ordination with Shetland CG and the Australian CG’s and were all extremely efficient, professional and supportive. It was a real bonus when they printed us off a full transcript of the rescue. We spoke to Ken and Mike, a couple of the people who were on duty the night it all started, it was really good to meet up with them and they were also pleased to receive our feedback of their service, which they said is quite rare. While we’ve been here at the Port Pendennis marina we have been looked after very well by the manager Mark and his staff. We’ve imposed on them almost every day but nothing is too much trouble for them and they are all very friendly and helpful. Since we have been here we have met several of the other boat owners in the Marina and particularly Philip and Bob have been very helpful. In fact there have been many folk who have been very interested in Elsi Arrub and her planned trip offering assistance and help. 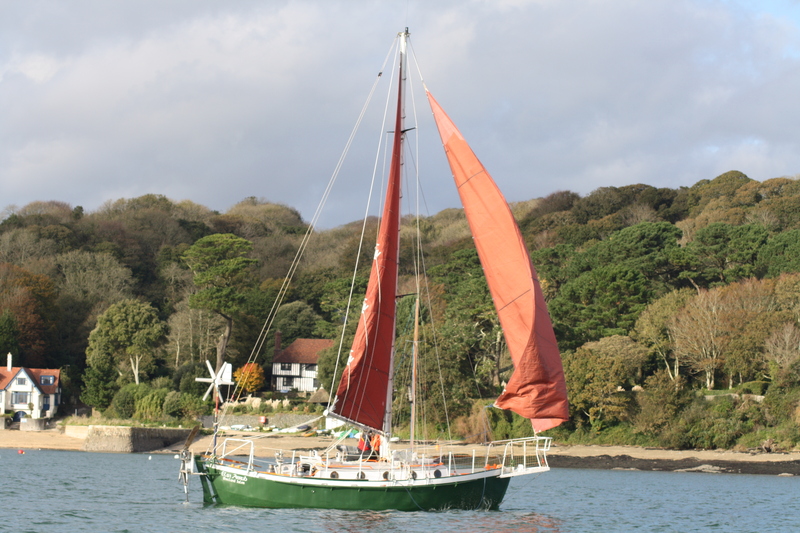 We’ve really enjoyed our time here and could certainly recommend it for a visit.4th NovemberAt 2pm today Andrew and Elsi left Falmouth in sunshine for their long journey around the world. Waved off by Alyson and Penny (Al’s sister), they passed the Pendennis castle at 14:35.:40. 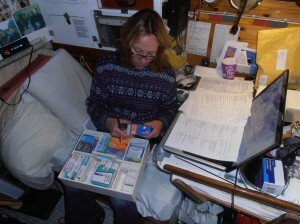 5th November 2013Update on Andrew and Elsi’s progress; You may have noticed that Andrew is heading back towards Falmouth – he is taking shelter from some pretty difficult conditions in the Channel. Waiting for the weather conditions to improve. Hi there Andrew just want to wish you Good Luck. I look in everyday to see how your doing. Here and on Facebook/ Peter lets me know as well when I see him. We will watch your progress with great interest over the coming months – a fantastic adventure – take care and good luck. Martin – Vidlin Shetland. Best of luck for your long trip around the world! I look forward to following you and your safe return. Wishing you all the best on your travels, we’re following your progress every day. All da best Andrew and will look forward tae de updates. Cheers Peter. Urafirth. Bon Voyage Andrew. Didn’t see you off this time but looking forward to seeing you on your safe and successful return from your momentous adventure. Will be watchin’ de, Aa da wye. Aa Da Very Best, boy. Hi Andrew, aa da best for da big trip.. fair winds. Hope you have fair winds all the way round on your momentus journey. Our thoughts and best wishes will be with you Andrew,and not forgeting Alyson back home. Glad to be able to wave you off this time Andrew and hope all goes well – will be in touch and with Alyson too! What material was the mains sheet horse made from Andrew? Am curious that you did not built a bit of a doghouse/shelter at aft end of the coachroof to give you a bit of shelter. Any particular reason or was it just one of these things that never got done! We saw you leave, Andrew, on Monday. We were quite high up where we had a good view of the bay and saw you sailing across about 15.00. All looked good and we wished you God Speed. God Speed Andrew – we did see you leave at about 15.00 on Monday, we were high up and had a good view of the Bay, Elsi looked good sailing across! Hello Andrew, we are delighted you’re on your way and will be following your progress avidly. We will be very interested in hearing more about what you are reading, as you progress – we’d love to share your choices with our customers. Great to hear you’ve arranged things to complete the circumnavigation. Without having met you I can tell that you have courage, determination & ability to knock it off. Good luck & enjoy it. This website & log is really good, thanks for keeping us informed like this. We will be keeping an eye on your venture, and look forward to you passing our neck of the woods in Oz. Andrew- have just discovered your website and added it to the top of our ‘favourites’. Great progress so far. Have a safe trip and god speed. Roger and Alice. Hi Andrew – It’s great to watch your progress. What a beautifully-planned expedition, and thank you for your superb website! Congratulations on getting Biscay behind you so speedily!Could really feel your battle against the weather trying to leave Falmouth. Bon voyage – and fair winds for Cape Horn! Glad to hear everything is going well Andrew. The log book is very interesting so hope you manage to maintain it with regular updates. Wishing you all the best and look forward to welcoming your successful return. Always felt do had tae do this. Wish you all the best an a safe trip. We will be keeping up to date with you as you go. God bless an keep you safe. On the Micalvi in Pto.Williams now, I see for 1st time how well ship and crew are doing. Cape Horn (very close from here) is looking forward, you’re very welcome!! Down in Edinburgh at the moment so have no idea how radio comms are,but hope to have a QSO with you when I get home at the end of the month, that is of course if the beam is standing up to the gales! Hope the voyage is going well & mind the sun cream,just hope you continue to get a gentle breeze to fill the sails. I hoop du’s keepin a dis a’ onboard, da makins o’ best seller. Cheers Andrew, speak tae du sune. What a fantastic trip to have. A most enjoyable part of your life indeed. With any luck the wind will be kind to you!!! Good daily runs Andrew, progress is looking good. hope the fishing improves soon. Ian and Shirley . Hi Andrew, great ti read de log and see do is making fine progress. Hope do gets good winds at least until clear water ahead dan do might get a good sleep. Cheers in aa da best Gibbie. All the best to your voyage and good luck Andrew. I can stiil remember the many questions you asked when we were on shift together. Will keep watching the log to follow your progress. Hi again Andrew,Glad that you have managed to get onto the Hot Stuff Blog,its amazing who you can meet going round the world! Hope you manage to get out of that SW’ly soon and pick up some good sailing in the NE trades. You must be real good at raising and lowering your headsail and reefing in and shaking out those sails by now with all that practise. Nice for you to see a bit of wildlife at last,and best of all you did’nt have to share your lunch of fried tatties with that shark. My name is Cecil Robertson live in Inverness but from Lerwick. I see that you are following Venus in the south west, so it must be on the Meridian some time before that. I remember crossing the Pacific many times in the 1960s and it was on the Meridian about 10am. From our D/R postion we pre-calculated the altitude and time of the Meridian passage of Venus, searched for it on the sextant, and of course determined the latitude. Very shortly after that we took a sun sight and crossed it and that established the longitude. Simples as the meerkats say!. Try it, let me know how you get on. Read your latest in the Shetland Times. We find the descriptive writings great and almost feel as we could be there with you. Congratulations on reaching 3000nm and hope that the next 27000 odd are as much fun for you and everyone else who read your doings. And that they are equally as un alarming as so far.Keep your spirits high and the comms coming. Hi Andrew, we meet many years ago…(and a few times since)first stop on your first circumnavigation…Orkney. You seem to be making good progress, long may it continue. All da best for 2014 ! Happy new year Andrew and Elsi! Wishing u all the best for the rest of your journey. I`m Ex RN Andrew . So from the “ANDREW” and the RNARS Amateur Radio Fraternity Our very best 73 and 88`s to Elsi and the XYL-Alyson. De G0JSC-RNARS-1702. Hi Andrew some chuffed you are giving it a go again,must be a good experience going round the horn, very good reading your daily log ,inspirational for everybody with a goal in life ! Hi there Andrew and Alyson, well done on rounding the Horn that’s quite an achievement for you and Elsie. Hope you have fair and favourable winds to cross the Pacific and also Gods speed. Congratulations on a hundred days and good wishes for safe sailing. Ruth. Passing on a message: God Speed – Bear and Bob from “Fire Hawk” of Falmouth. Vexed to hear this terrible news ,but as long as you are safe Andrew that is the main thing.Was watching the wx where you were and it was really terrible ,if only you could have got a bit further north things would have got better. At least you were brave enought to try it. CAPTAIN PLEASE, CALL TO PHONE TO MRCC PUNTA ARENAS. NUMBER +56612201161. This must be the worst day for a while Andrew, so very sorry to hear the news!! So sad to hear the news, Alyson. He has been so courageous & has pressed on against so many odds. Thankfully he is safe. But, Alyson, he has got round the Horn & nothing can take that away from him. We have followed him all the way. And we hope you see him very soon. Bless Elsi – she’s been a gem. Awful news – But as long as Andrew is fit and well – Thats the main thing! Can you keep us up to date with his recovery please? Really sorry to hear that you have had to make a may day call, get back safe Andrew to your waiting family. I’m very sorry to hear of the mast break. I have been following your journey and hoping for you to receive fair winds to send you north. I sincerely hope there might be a way to recover Elsi. Glad you are safe. I’m so sorry to read of the broken mast. Whilst the disappointment must be monumental, you have inspired, and taught, so many people. I hope there’s a book comes out of these journeys, especially if it’s about shattered dreams while doing your very best; an experience many encounter, though in less spectacular ways. Safe journey home. Dreadful news – but you’ll come through this! Hope all goes well with the pick up and Elsi is salvable. Best wishes on a poor day from all at Yachting Life. Sorry to hear that du has had to leave Elsi but at least du is safe! We’re blyde ta hear dat do’s med da land . So we’el see de sooner than expected have a good sleep. P & C.
We’ll keep wir fingers crossed for a good meeting with the Admiral and hope they will go and find Elsi. We are saddened but very relieved that you’re safe. Hopefully Elsi can be found. Is replacing the mast a possibility? Happy New year. If You want to visit us in Norway this summer, we can try fix you a sailingboat for a week ? I look after a 29 Albin Alpha with New engine 29 HP Yanmar. This boat is in Sagvåg and belong to Ingebjørg s Brother, he never use his boat.If you like the ide please contakt us.